Our trusted ecosystem of technology partners allows us to become the hub for all your technology needs! Dell provides technology and hardware solutions and services to companies across North America. Shaw Business provides solutions such as internet, phone, data, and TV services to businesses across Canada. Powered by Microsoft, Office 365 provides cloud-based services to match your businesses needs. Microsoft is a world leading technology provider and develops, manufactures, licenses, and supports business solutions. Encore is a software service company that specializes in Microsoft Dynamics technologies and change management services. Dynamic Owl has the creativity, SharePoint consulting expertise and passion to deliver an extraordinary pre-built intranet that employees will love using every single day. Voxter is a North America-wide Unified Communications VoIP (Voice over IP) provider. Affinity Bridge is a team of highly skilled web developers that value progressive social and environmental change. They specialize in designing and building effective websites that are easy to use and maintain. Powered by Dell, SonicWALL provides internet security solutions such as VPN and Firewall services. Cisco Meraki is the leader in cloud controlled Wi-Fi, routing, and security. 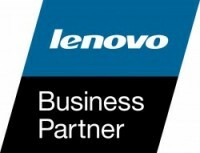 Lenovo is a computer technology company that designs, develops, and manufactures hardware solutions. HP provides hardware and software solutions and other related services to companies across Canada. Barracuda Networks provides security, networking, and storage solutions for networking appliances and cloud services. 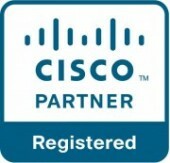 Cisco is a leading technology provider that designs, manufactures, and distributes networking equipment. TeraGo Networks provides high speed internet, connectivity, and datacenter services to businesses across Canada.